What's included in Public Profiles? How do I access an advocate's Public Profile? How do I view my own Public Profile? How can I show/hide information on my profile page? A public profile is a page dedicated to each advocate in your hub. It allows other advocates to message each other and learn more about each other. 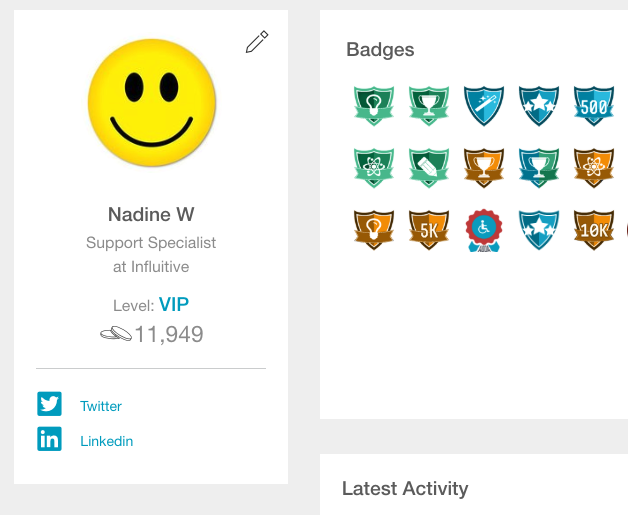 Public Profiles can help cultivate advocate-to-advocate connections and improve the overall sense of community and engagement in your hub. A Message button to directly contact the advocate through the messaging inbox. From the advocate view, go to the left corner, click on your picture, and then select the Profile link. Advocates can choose to turn on or off the visibility their contact and social media information in their public profile. To do so, they can go to Profile Photo > Profile in the top left and then Click the Pencil Icon > Social Tab. 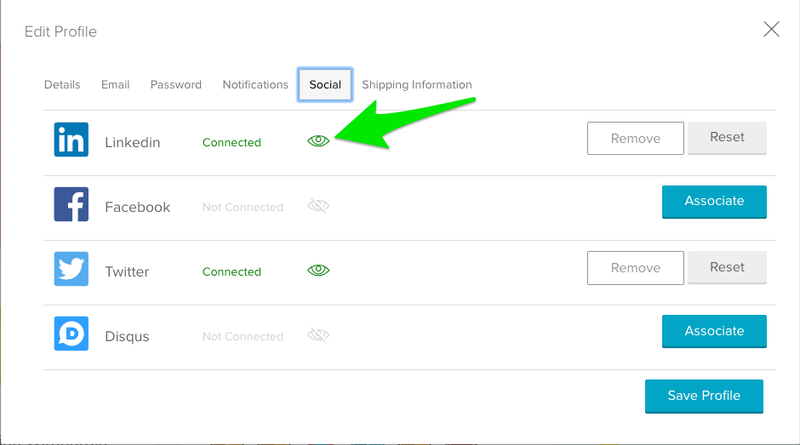 If the green eye is selected, that information will show on their public profile. By default, visibility is set to "off". 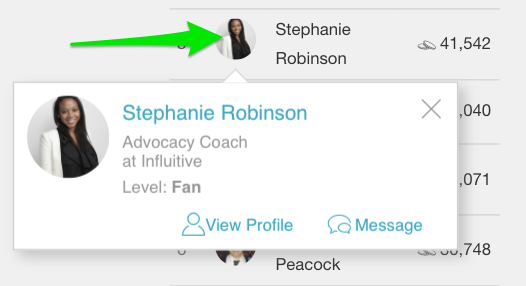 In the screenshot above, the eye icon next to the LinkedIn profile means that this advocate's LinkedIn profile is now visible to others in the hub through their public profile, as shown below. 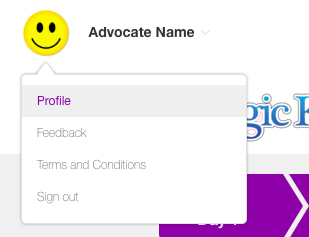 It should be noted that advocates can view the profile and message any other advocate in the hub. For example, if you have Employees and Customers in the same hub, customers will be able to message employees and vice versa. If this is an issue, you can disable to the Advocate Community by going to your Admin Settings > Advocate Program > Advocate Community > Toggle ON/OFF > Saved.